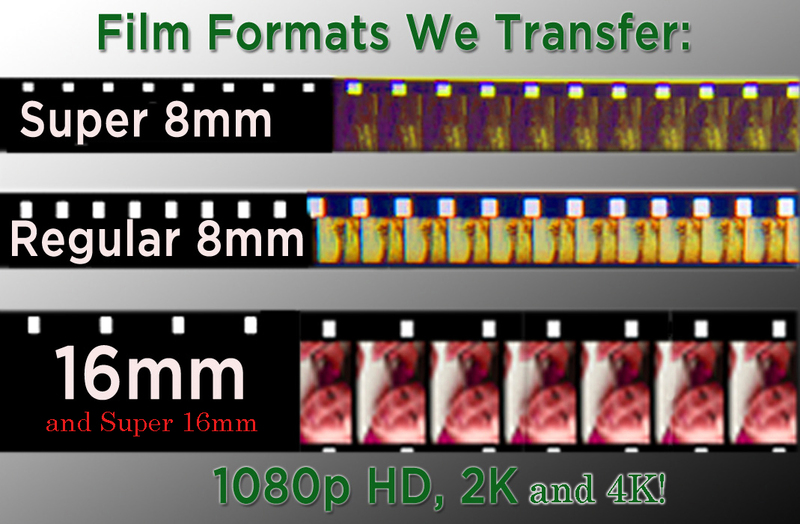 Need high quality transfer of your Regular 8mm, Super 8mm or 16mm / Super 16mm motion picture film to video, HD, 2K or 4K? 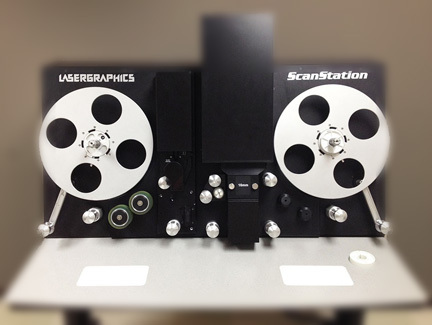 Looking to digitize your Super 8mm sound home movies? Create a DCP or Blu-ray disc of your short or feature film? Our cutting edge LaserGraphics ScanStation is a terrific option! The ScanStation can make beautiful transfers at almost any frame rate. Plus this sprocketless, flickerless machine with built-in stabilization software, produces stunning results. Want an overscan of your Super 8mm footage so you can get the detail under the sprocket? We can do that. Want to zoom in and reframe your 16mm or 35mm film so it's widescreen, or crop out a hair on the left side of the frame? We can do that. Want to make a proxy viewing copy of your material while simultaneously producing a 24p ProRes HD or 2K/4K version? We can do that, too. Plus, with high end color correction on board, we can fix your Eastmancolor print's red fade, and adjust for other exposure problems. The ScanStation's quality is widely recognized as best in the industry. We have a full film table and can prep your material for transfer off cores or on reels, and we offer an alcohol based cleaning service for 16mm and 35mm films. We're located in Los Angeles near La Cienega and Venice in the 90034 zip code. Our standard rate is $.30 per foot of film for HD transfer. Prep charges, 2k&4k scans, and cleaning costs are additional. Contact us by email for a price quote and to make an appointment today. Make sure to include information about your format, number of reels and footage total and any other information that you think is relevant. We'll get back to you promptly.